They are used for electronic warfare. OSCE Special Monitoring Mission observers have spotted the latest Russian weapons systems in an occupied territory of Donbas, Ukraine's Mission to the OSCE has tweeted. 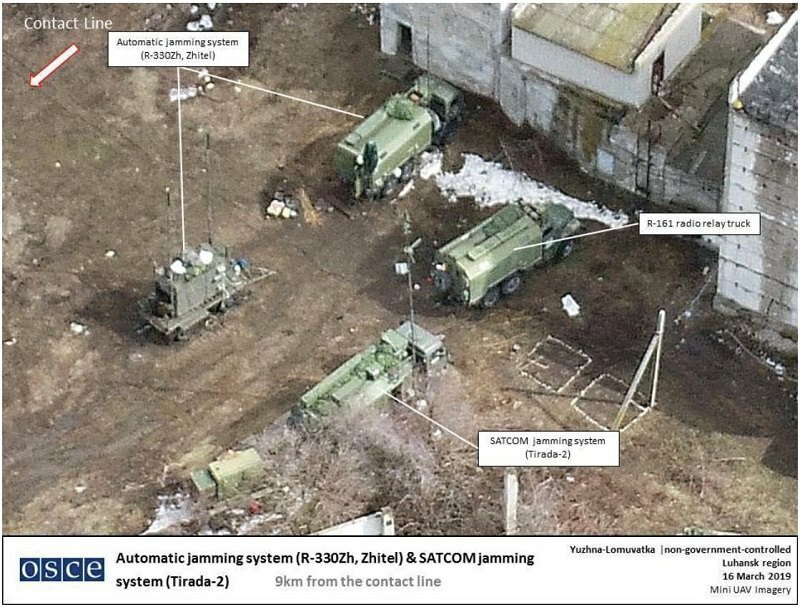 "The OSCE Special Monitoring Mission has registered the latest Russian weapons systems – an automatic jamming system R-330Zh Zhitel and a radio-electronic jamming system Tirada-2 near Pivdenna Lomovatka (60 km from Luhansk – ed.note) in a part of Donbas occupied by Russia," it said.